Happy Halloween! Are you doing anything for Halloween today/tonight? Trick or treating maybe? We usually do trunk-or-treat at our church then walk the usual trick-or-treat route in our town. It used to be a much bigger ordeal around our house, but now that Katie is the only one that dresses up it’s calmed down a lot. Before Katie was in school, I’d be toting her around the elementary on my hip, managing two different classroom parties [one for Tyler, and one for Zach], then rushing home to get everyone fed something BESIDES candy, before heading out to trick-or-treat. It was cah-razzzyyy! Anyway, if you’re doing something fun today, enjoy! I had four JP drains placed at the end of my surgery last Monday; two under each arm. They each have tubing that is snaked in and around my chest area and are used to collect all the excess fluid that accumulates after removing bodily tissue. In fact, you could even SEE some of the tubing in my chest…really weird looking! Anyway, ask anybody who has had to have drains placed, and they will probably tell you that it is their least favorite thing to have to deal with. Not only do you have the pain and discomfort from the surgery, but then you have to empty your drains every few hours, measuring and recording each amount for the doctor to see at your post-op visits. And you have to do it very carefully, cleaning the drain and using clean hands or gloves so as not to risk infection. Besides that, it’s gross! It’s a party, I’ll tell ya. Well, on Monday, I had my one-week post-op visit at my plastic surgeon’s office. And lo and behold, she looked at my output sheets from my drains and determined that TWO of my drains could be REMOVED!!! I could almost swear that I heard angels singing!! Or, maybe that was me…either way, I was/am ecstatic! She removed one drain from each side, leaving me with only TWO!! Hallelujah!!! But yeah, that’s a HOLE! Geez!! And they don’t stitch those up anymore, because she said they actually had more problems with infection when they were stitched. So she just covered it up and said it would close pretty quickly on its own. Well, we changed the dressed last night and both holes are almost completely closed! Cool! So now it’s two down, two to go! But just having two of them removed I feel like a new woman! I am so happy!! 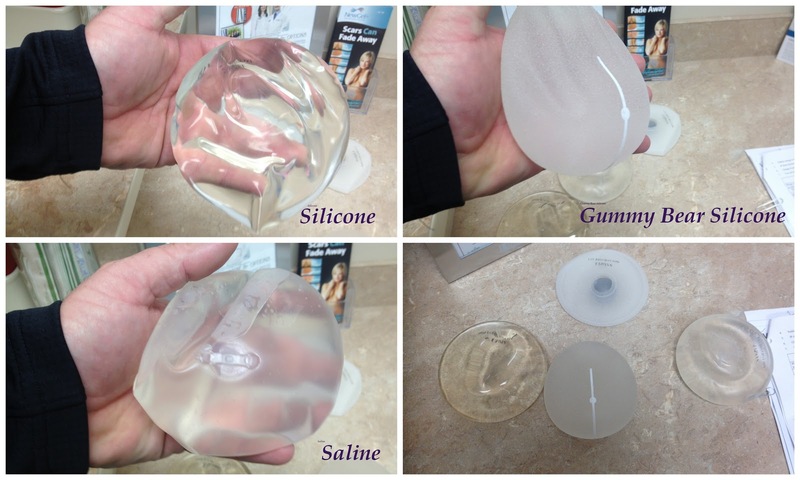 On Monday, we also got a good look at the different implants we will have to choose from. To fill them, a magnet is used to find the metal port in the expander, then it is marked and cleaned. Then a predetermined amount of cc’s of saline will be injected into the expander allowing it to fill and stretch the muscles and skin surrounding it. The plastic surgeon put a small amount of fluid in during surgery to get started, but used 50 cc’s less on my cancer side, since it has been radiated. She didn’t want to stress the area too much at first, and said she will catch it up quickly with the other side. Ok, so…I’ve wished you a Happy Halloween, I’ve shown you an icky bloody picture, and then some body parts. I’d say this has been a perfect Halloween post! HAHA! To be more specific, TYLER is going to state! The District Cross Country Meet was held Saturday morning (Oct. 27) at Willow Springs Golf Course. It was a beautiful morning, but pretty chilly! Luckily our boys’ race wasn’t until 11:30, so the sharpness of the chill had given way to the sun. Our boys’ team of seven included both of our boys, even with Zachary having been out of the line-up for a couple of weeks due to bronchitis, he was still chosen to run for the Bulldogs. So proud of his Freshman XC season! Zach’s time improved by FIVE MINUTES from the first time they ran this course at the first meet of the season! That is HUGE! Tyler ran a great race and, in doing so, qualified to advance to the STATE MEET this weekend in Jefferson City!!! He earned All-District honors for the second year in a row with 8th PLACE and a time of 18:24!!! We have all been anticipating a repeat this year, and to be heading back to state, but you just never know how the meet is actually going to shake out-someone may run the race of their life and someone else could stumble and trip, feel under the weather, just run a bad race…I mean, the possibilities are endless. You just never know! BUT, he did it, and he and Shaun (his teammate) both qualified for the state meet! We are SO EXCITED!!! I was a little unsure how I would feel at the meet on Saturday, being only five days post-op. I never even considered staying home…yeah, right. But I DID consider watching from the car and not walking all over the place [I mean, it IS on a golf course]. Now we are counting down to this Saturday’s State Meet! Let’s Go Tyler & Shaun!!! Has it already been a WEEK?? Wow, I guess it has been! It has officially been a week [plus a few hours] since I had my double mastectomy. A whole week without the breasts that I was born with. A week of medication schedules, modified household routines, and love & support oozing from all over. I cannot go into detail enough to make you understand how much our family and friends mean to us. They have collectively taken care of our kids, cleaned our house, cooked our meals, emptied my drains (eww), helped me get dressed, and given us all the support we never even had a chance to ask for. They are beyond amazing…we are so blessed. I really can’t believe it’s been a week, though. Of course, I was on pain meds for the majority of it but still! So now, I think I’m all caught up! Hahaha, yeah, right. But I’m close! So I’m going for tonight. Maybe more tomorrow. One week ago today, I adjusted my sails. Thank you, Lord, for giving me the strength to do so. Just checking in tonight as I post from my phone, so this will definitely be short! Surgery went great and I am back home...sore and tired but so glad to home so I can sleep in my own bed. How did I wake up to a b-e-a-utiful morning today? Why, of course, I went for a run! (on my treadmill, while watching Friends) This 6.2 miles was a little different, though, because it will be my last run for a little while. Tomorrow at 7:30am I will have my bilateral mastectomy and begin reconstruction. I say “begin” because with tissue expanders it is a few-months-long process. But tomorrow is the biggie. So, needless to say, I soaked in every.single.minute of this morning’s run! Umm yeah, my family is loving this right now! Haha! I’m going to go get things ready to go and TRY not to forget anything important. More nesting activities today. Baking with my favorite girl for one of my favorite friends, and finishing up clean-up stuff around the house. Maybe dinner and a movie tonight with the fam. I am so ready for Monday to be here. Gosh, it’s been a ridiculously crazy week! On top of trying to prepare for surgery, we have the usual stuff going on like practices, cross country meets, and everything that goes with it. If I had to describe the past week in one word it would be, NESTING. Yes, you heard me right. I am nesting like a pregnant woman…umm, that would be like number 2. from the above definitions. I was cleaning all the deep and dark crevices of my bathroom at the beginning of the week and since then have proceeded to empty the entire contents of my laundry room AND Katie’s room (oy vey!) to do the same there. Nothing is off limits as I prepare to come home from surgery to a clean and [semi-]organized house. Today my plan is to get a massage (priorities, people!) and come home and organize my dresser drawers. Nesting at it’s finest. I have been working out every day, trying to soak in every minute of endorphins since I won’t be going for a run for quite awhile after Monday! I hope I’m banking enough, but I doubt I am. But I did hit my furthest run in MONTHS-as well as my fastest pace-on Monday with a 10-mile run! It was beautiful and awesome. I love runs like that. I made it to Day 37 of Insanity on Wednesday. I’m probably not going to do anymore before surgery. But I have really liked it! I am going to let my sister use it while I am recovering and see how she likes it, and am looking forward to restarting from Day 1 when I am healed and able to! And the fall colors are amazing right now! It is so beautiful in the Ozarks! Cross Country season continues and Tyler has continued to impress, medaling in every race. He received All-Conference honors at the conference meet this week. Zachary has been sidelined with a nasty bout of bronchitis for the past couple weeks, so he hasn’t been able to participate. Thankfully he is much better now! Yesterday we wrapped up our #SheReadsTruth Ephesians study! I look forward to opening up my Bible and my iPhone app every morning and digging into God’s Word and reading what other sisters in Christ have to share about the passages. I am anxiously anticipating the next study- Philippians. Join us! OUR CARDINALS ARE IN THE PLAYOFFS!!!!! That’s right! If we win Game 5 today against the Giants, we will be going back to the World Series!!!! LET’S GO CARDS!!! 12 in 12!!! I’m going to hit the shower and get ready to go get my massage, thanks to my Momma! I am SO excited!! Have a great Friday, guys! I took a teeny break from Insanity this morning. It should have been Day 32 which is Max Recovery. The Recovery DVD from the first month was about 30 minutes or so of stretching and yoga-like poses, all which felt so good but also left my muscles quivering by the time some of the poses were done! It’s more slow and controlled exercise but it works you nonetheless! But today I really wanted to run outside. We have had these beautiful, cool mornings that (to me) are just begging for a run. So no Max Recovery for me today, a glorious 7-miler was just what I needed! I am very happy with all my splits! I love that I ran negative splits for the most part (all except the last mile which was a bit slower) and kept a pretty steady pace! Sometimes it’s hard to remember how to pace yourself for outdoor runs when you’ve been on a treadmill a lot, since the treadmill helps you keep your pace. But I did pretty good! And it felt so good to get out and just run. Something I have been forgetting to share with you since there’s been lots of other stuff going on, is that the ladies over at SheReadsTruth have started a new study! This one is on the book of Ephesians, and I LOVE it. And, as always, it’s never too late to join! 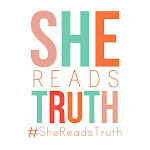 Head on over to She Reads Truth and take a peek at what the ladies there are doing. It’s a pretty awesome community over there! Saturday was our 3rd annual Lending A Hand Raft Race! It is always such a big job getting it all together (and Tiff does a LOT of the planning), but it is so worth it when we think that we are raising thousands of dollars for cancer patients in our community. We’ve come a long way, BABY! Love you, Tiff! Again this year, the Raft Race was a huge success. We were very concerned through all of last week looking at the forecast, as it was getting chillier and rainier by the day. But, by the time Saturday morning rolled in, we had a good mix of sunshine and clouds. And it was a little chilly, but it just added an extra “element” for our rafters to battle through. And battle they did! We have the most amazing support in our tiny little town. We are never at a shortage of wonderful people who want to help in any way they can. We had a great crowd and raised over $7,000!! Do you know how many gas cards, prescription co-pays, nutritional supplements, etc. that will buy?? Let me tell you, it a lot. And we LOVE being able to help in any way we can. Here’s my good-looking, er, messy crew! And in case you’re wondering what all the white stuff is…it’s flour. I guess “No Rules” equals flour bombs. It’s all in good fun. Lots of fun was had, tons of money was raised, and at the end of the night, there were some wiped out Lending A Hand girls with big smiles on our faces. St. Louis Rams Love PINK!